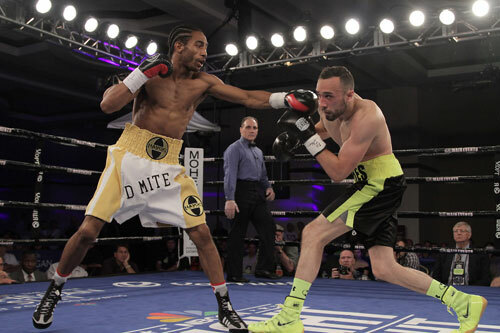 Karl Dargan lowered the boom on fellow-Philadelphian Anthony Flores Saturday night at the Mohegan Sun Pocono Downs in Wilkes-Barre, PA. 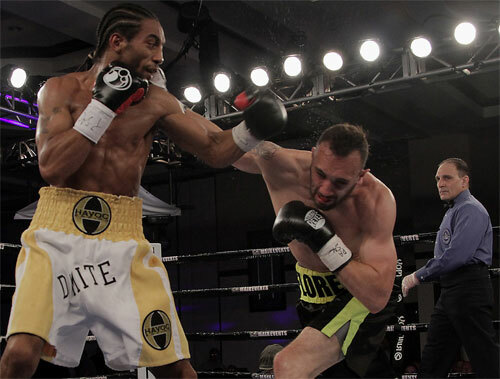 The fifth round TKO kept Dargan's USBA Atlantic Coast Region lightweight title belt securely around his waist and extended his undefeated streak to 16-0 with 8 KOs. More importantly, the performance by Dargan was an impressive and exciting display of his fine ring skills. He's shown promise all along, but has not exactly been a thrill-maker during his six and one half years in the professional ring. However in this scheduled 10-rounder against the game Flores, Dargan shined and scored a showy stoppage of his forward-moving opponent. The win was just what he needed to keep the nationally televised dates coming his way as he climbs the 135-pound ranks. Flores came to fight on Saturday night, but his aggressiveness backfired on him. From the opening bell, Anthony pressed Dargan and launched looping bombs his way. A few punches found their mark - or came close, but most were blocked or slipped by the slick Dargan. Still, Flores kept coming, trying to make something happen and testing the theory that Dargan was short on heart. It wasn't a bad plan - to apply pressure and see if Karl was willing to get his hands dirty. After all, most of his previous bouts were calculated chess matches that barely ruffled his feathers. Flores came on strong and gave it a go, but he did not have the skill or power to achieve the goal. Dargan laid in defensive wait, smartly peering for openings that would swing the fight his way. With Flores throwing freely, those openings became apparent rather quickly. Flores pressed the fight, but Dargan did most of the clean scoring. 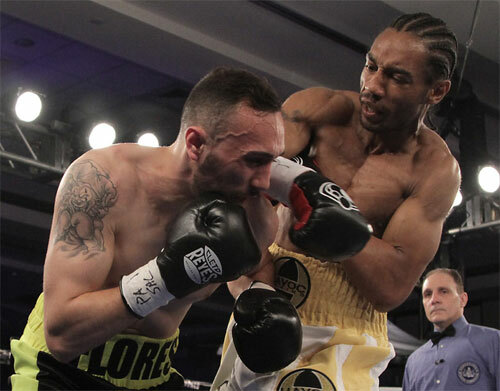 Like a sniper, Dargan shot perfectly timed counter punches through Flores' bombs. Before long, Flores' left eye was marked and swelling, and it felt like it was just a matter of time before Dargan would fire the kill shot. Karl won every round, although Flores made a few of them close with his activity and aggressiveness. But the outcome of this bout was never in question. 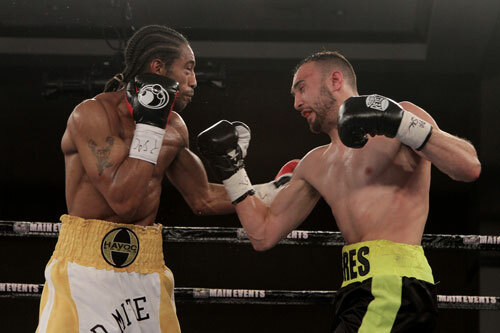 In round five, Flores continued his attack, and the fight suddenly got reckless. Flores roughed Karl up with a solid, jarring right, but the sniper fired back with a crackling left hook of his own. The punch staggered Flores, and Dargan went for the kill. A vicious flurry, capped by two more lefts and a lethal right hand, dropped Flores to the canvas. He rolled over and climbed the ropes like a ladder. Flores turned to face referee Gary Rosato, who finished the 8-count and let him continue. Dargan swept out of the neutral corner and blasted Flores with a single overhand right that convinced Rosato to jump in and stop it. Pinned against the ropes by the referee, Flores winced, upset that the fight had been stopped. But Rosato's call was the right one. This fight was over when they signed the contracts, and no scenario existed that would have ended with Flores as the winner. The time of the TKO was 42 seconds of round five. It was the impressive and entertaining victory that Dargan needed at this point of his career. It showed a new side of him as a fighter and helped to justify his nickname of "Dynamite". This win was definitely his most explosive to date. Flores, 11-5-1, 6 KOs, was in great condition and gave a solid effort. But he was not in Dargan's class on this night. 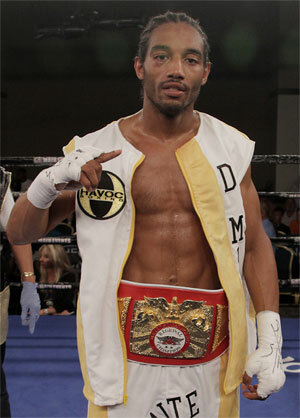 Dargan, one of Philadelphia's top prospects, appears to have big fights ahead of him in the near future. The evening's international flavored main event provided an upset when Nadjib Mohammedi, France, battered Ukrainian Anatoliy Dudchenko from pillar to post before scoring a TKO at 37 seconds of round seven. Referee Shawn Clark smartly stepped in after a jagged right by Mohammedi staggered the already beaten-up Dudchenko, 19-3, 13 KOs. 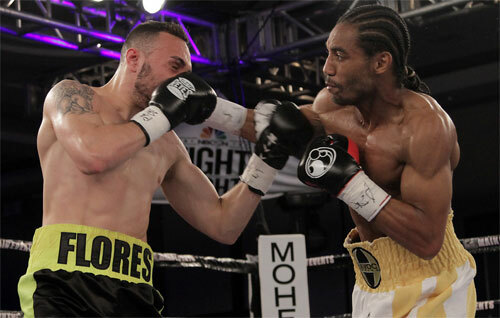 Mohammedi dominated the scheduled 12-rounder, and with the victory, became the mandatory challenger for Bernard Hopkins' IBF light heavyweight title. It was an impressive beat down, but it is highly unlikely that Hopkins would even consider fighting the little-known Mohammedi, 35-3, 21 KOs. Sullivan Barrera TKO6 (2:42) Lee Campbell, light heavyweights. Erik Spring W4 (U) Jamil Gadsden, junior middleweights. Wellington Romero KO2 (2:07) Mack Babb, junior welterweights. Hakim Bryant W4 (U) Alshamar Johnson, debuting junior middleweights. The show was promoted by Main Events with Peltz Boxing, and was televised live by NBC Sports Network as part of their FIGHT NIGHT series.